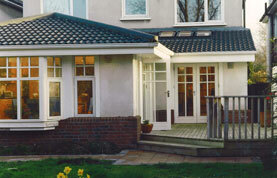 We have completed a wide range of projects in the Dublin area and beyond. Emphasis is placed on high quality design, on the optimal use of space and light and building technology. We work with a team of very experienced Building contractors who carry out the work on time and within very competitive budgets. All jobs are carefully supervised by members of our staff right up to the final account. Preperation of working drawings and typed Specification and seeking tender prices from approx three recomended building contractors. Construction Stage ; Awarding of building contract and weekly site supervision . Issuance of Compliance certs. and handover at end of contract. 8% of construction price, 2% per work stage on completion.